Yes, it’s a fact, I have officially turned 40 and I’m not feeling so positive about turning 40 now that I’m in the driver’s seat. BUT, overall it’s been a great year with my family, career, and my blog. As most of you know, I get so excited to give to my readers. So today, I have partnered up with SodaStream Canada to offer a great giveaway to celebrate my 40th Birthday and my Holiday Gift Guide. After all, I need to do something to lift my spirits! I am thrilled with my new SodaStream Green Fizz. Over the past week the house has been filled with family and the SodaStream has allowed us to keep the drinks flowing without an assortment of can and bottles of pop in the house. Most importantly with two teenagers, soda is a hot commodity. My teenagers have been demonstrating the SodaStream to their friends which has resulted in their friends asking for this machine. 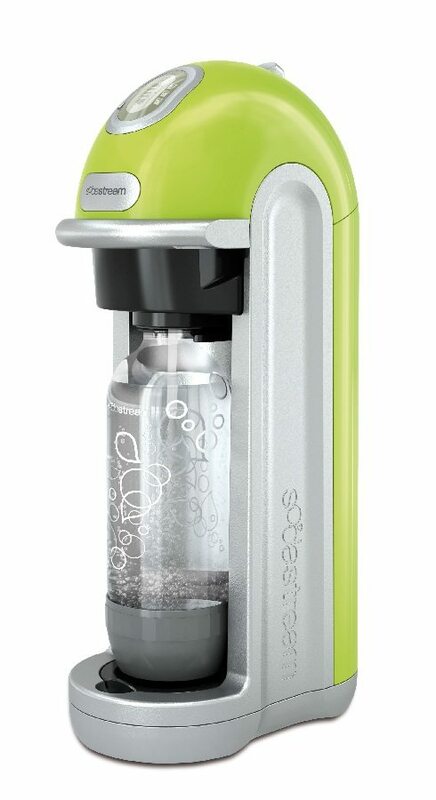 The SodaStream Green Fizz system is a fabulous alternative to purchasing pop at the stores. What I love about it, is that you can adjust the soda to your taste and that it is so simple to operate. We purchased the sample pack from Canadian Tire and I was amazed at the flavour choices available. With the SodaStream, there are more syrup selections than simply Cola and Orange Pop. I have found a new love for Diet Pink Grapefruit, Lemon Lime, and the assortment of splashes for sparkling water. In celebration of my 40th Birthday, SodaStream and Life’s a Blog is giving away a SodaStream Green Fizz starter kit to one of my readers. As well, SodaStream has also announced a Cyber Monday Special where you can save 50% on all online purchases. Simply fill out the form below to qualify. This draw is available to Canadian Resident only. Not only is it my birthday today, but it is officially one month until Christmas. This would make such a wonderful gift for the not so easy to buy for. Sigh, well I better take off now as I must get some beauty rest for tonight’s “Christmas “Party” 🙂 Good luck.